The Cooper Union Library's specialized collections provide support for the academic programs at the institution's three degree-granting schools of Art, Architecture and Engineering, as well as courses in the Humanities and Social Sciences. Located on the ground floor of the landmark Foundation Building, the Library houses over 100,000 volumes of books and periodicals, maintains collections that include visual and historic materials, and provides access to a wide variety of electronic resources, including thousands of e-journals and e-books. The Library offers group instruction in research techniques and has computer facilities for individual research and study. Through a number of consortial agreements, the Cooper Union Library provides students, faculty, and administration with access to collections at a wide variety of private academic libraries in New York City. 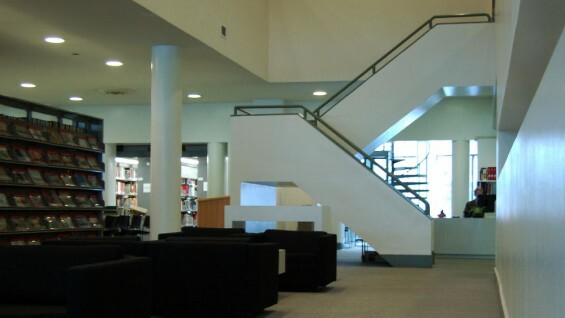 Reciprocal access and borrowing privileges are offered at New York University's Bobst, Courant, and Dibner libraries, the New School Libraries, and the New York School of Interior Design Library. Access without borrowing is provided at NYU’s Institute of Fine Arts library and the Chutick Library at the Cardozo School of Law. Membership in the Metropolitan New York Library Council allows for referrals to virtually any private library in the city for on-site use of materials. Alumni have continued access to the Cooper Union Library at no cost, and can re-establish borrowing privileges for an annual fee. Monday - Thursday 8:45 a.m. - 9 p.m.
Friday 8:45 a.m. - 6 p.m.
For further assistance or information, please call (212) 353-4186, or visit the Library website.